One of the main reasons why Huawei’s smartphone shipment numbers are growing while other major vendors are struggling to defy the industry’s overall stagnation might be how the company approaches market trends. Back in the spring of 2018, the P20 Pro showed Huawei was not afraid to both set and follow trends, sporting a then one-of-a-kind triple rear camera setup, but also an iPhone X-inspired notch. 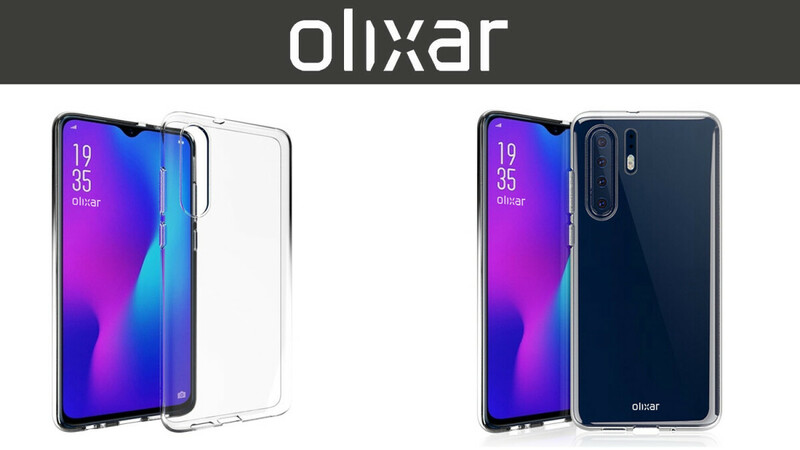 Based on inside information obtained by Olixar, a fairly reputable manufacturer of mobile device accessories, shared with Mobile Fun, a similarly esteemed retailer of such items, the Huawei P30 and P30 Pro will revise that strategy... a little, following and snubbing trends instead of attempting to break new design ground. As already rumored, it looks like the infamous notch is here to stay as far as this particular OEM’s flagships are concerned. Unlike the Samsung Galaxy A8s, which is almost definitely testing the waters ahead of a Galaxy S10 launch with in-display camera technology, the Huawei Nova 4 experiment may not mean very much for the fast-approaching P30 duo. Instead of drilling holes into their no doubt beautiful displays, the Huawei P30 and P30 Pro are expected to follow the suit of the regular Mate 20 with a discreet “waterdrop”-style notch. Meanwhile, we probably shouldn’t be surprised to see the P30 Pro rendered with four rear-facing shooters. We’re also ready to bet the farm this quad camera arrangement will be executed a lot better than the shockingly bad imaging sensors on the back of Samsung’s Galaxy A9 (2018). Obviously, Olixar and Mobile Fun have no info to share on the specifications of the two ultra-high-end handsets, but it’s interesting to highlight the Huawei P30 Pro could feature an oversized LED flash positioned next to its four rear shooters rather than a presumably “normal” one sitting below the three cameras on the back of the “regular” Huawei P30. Still pixel 3 with 1 camera tops all..
Yeah if you don't like diversity or rather spend a hundred each for Moment lenses. Not anymore. Xs and Mate 20 Pro are giving it a tough time. Especially in video recording, where the Pixel 3 is simply trash. awesome design...i hope it's true. The front is oppo r17pro, i guess they just like renders and getting attention. No more curved screens please, unless Huawei gets their screens from Samsung. My old P20 Pro had a better screen than the awful screens on the Mate 20 Pro! Can't wait till they release this if it has flat screen, I already miss Huawei's cameras. This thing looks horrible. Front and back. This one looks horrible. They nailed the design with the Mate 20 Pro though. No design change with Apple or Samsung means none with Huawei. Gotta wait so they can rip off one of them.